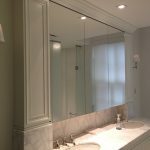 Mirror installation is one home improvement project many homeowners overlook. 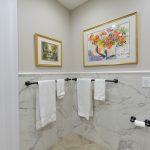 They are a necessity in the bathroom and bedroom areas, though mirrors can also add beauty and a spacious feeling to other rooms in the house. Here’s a quick list of some creative uses for mirrors, as well as a quick primer on the two most popular mirror installation techniques. 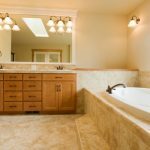 As mentioned before, every home needs a quality, well-lit mirror over each of your bathroom sinks, as well as a full length mirror somewhere in each bedroom. 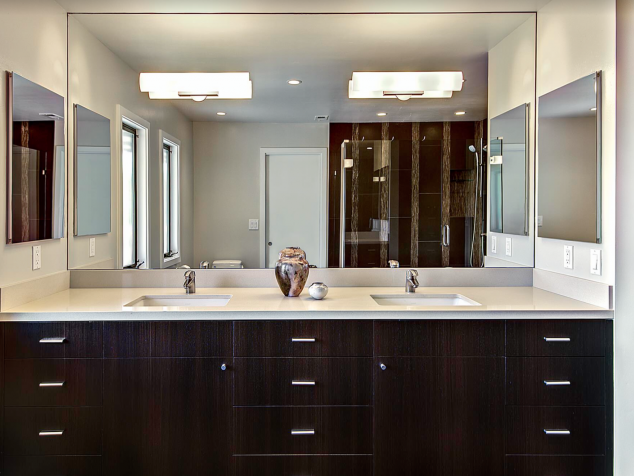 Once you’ve covered those bases, keep in mind that mirrors can do a lot for other areas of the home as well. Entryways are an excellent place to install a mirror. It will give the space a classy look, especially when hung over a small table, and it’s a nice place to get a last look at yourself when heading out to work or a night on the town. Kids’ rooms shouldn’t be ignored for a possible mirror installation. A mirror installed at kid level can be as entertaining to a small child as Saturday morning cartoons. 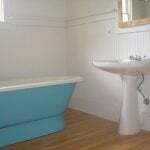 Also, think about installing a mirror next to your baby’s changing table. Looking at her reflection will drastically reduce the dreaded diaper battles that get more frequent as your baby grows older. Hallways are a great place to hang mirrors, especially if your hallways tend to be narrow and dark. It will make them feel larger, and if placed strategically, mirrors can also reflect light into the hall from adjoining, better lit rooms. Finally, while mirrors are great for making smaller rooms feel bigger and getting a good look at yourself, don’t forget they can serve other purposes, too. Talk to an architect or interior designer about where you can install mirrors to help distribute natural light throughout your home. You’d be amazed what a well-placed mirror can do when it comes to lighting things up! 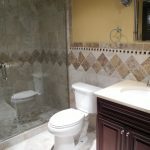 Need to find a pro for your mirror installation? Once you’ve decided where you want your mirror installed, the next step is deciding how to mount it. There are two common methods of mirror installation, each with their own set of benefits of and drawbacks. Adhesive installation is when you apply an adhesive or glue to the back of the mirror and attach it directly to the wall. 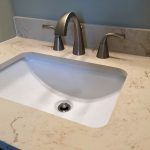 It’s by far the most attractive form of installation since you won’t have any unsightly brackets distracting you from the mirror or the reflection in it. Keep in mind, however, that it’s also a permanent fix. Removing a mirror installed with adhesive isn’t easy and often results in damage to the wall behind it. Make sure you’re committed before you choose this route. 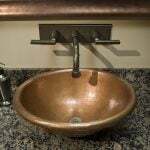 Bracket installation entails mounting your mirror with four brackets that screw into the wall. Your installation won’t be as seamless as if you used adhesive, but you’ll have the option to take it down and re-position the mirror if you decide later that it needs to be somewhere else. Finally, think about hiring a handyman or other qualified professional to hang your mirrors for you. Improperly installed brackets can pull out of drywall easily, meaning your expensive new mirror will have a short-lived life. And, as mentioned before, adhesively installed mirrors are there for good, whether you get them up straight or not. Better to shell out a little extra for professional installation than to have to look at that cockeyed mirror at the end of the hallway for years and years to come. 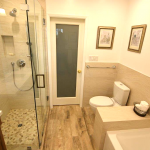 As the bathroom mirror should be able to clearly visible so that after bath you can see yourself easily without any difficulty and you should be able to make it clear that it is right mirror that you are using and have better view or angles. For hanging you should take the help from professional mirror hanging services.